Little has changed in the stand-off between religion and science, we might be tempted to think. At a meeting of the British Association in Oxford on 30th June 1860, a famous encounter is reported. Samuel Wilberforce, Bishop of Oxford, poured scorn upon Charles Darwin’s new theory of evolution. T. H. Huxley rose to defend On the Origin of the Species. On the Origin of the Species, it has to be said, changed the balance of power, but the stand-off persists. It is cited as the most influential academic book in history; and it is clear that the challenge for theology is to accommodate its findings within a religious context – something the Lord Bishop of Oxford was plainly unable or unwilling to countenance. Leave that aside, except to note that the issue is one of grave importance – pun intended. A news item for July 11th 2018, published in Metro (see attached, below) reports that a single handwritten page of the original manuscript has been sold by Sotheby’s for £490,000. 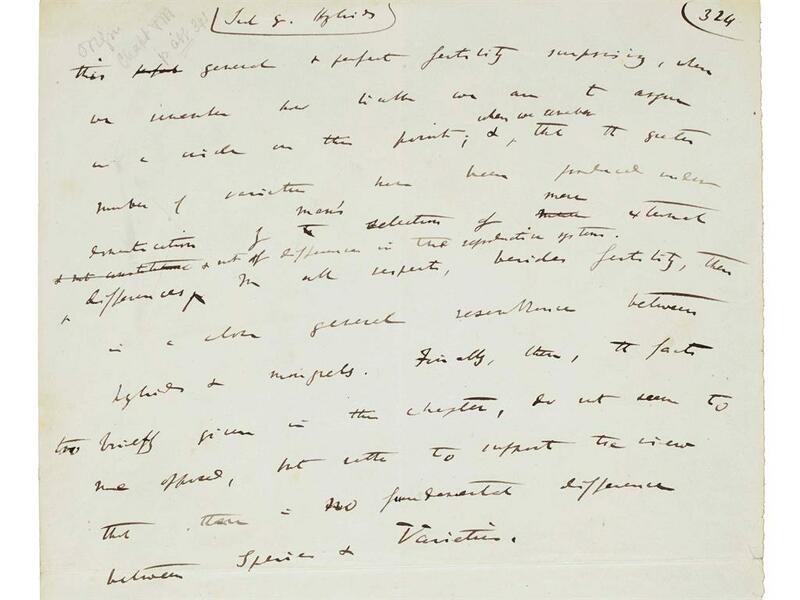 The manuscript, to be sure, contains the thoughts of the great scientist Charles Darwin. It contains his thought in the form of the language in which he has written it. That thought is contained in every copy of the printed version of the book as it eventually appeared under Darwin’s authorisation. The manuscript is of historical interest, but it is no more the book, than is the hand-penned score for Verdi’s Requiem that piece of music. Our historical interest might prompt us to place the manuscript in a scientific museum; but if the manuscript were to burn in a fire at the museum, On the Origin of the Species would remain unharmed – just so long as one copy of the book remained to be read and reproduced. There seems to be two independent and legitimate answers. One word: dog; or, two words: dog and dog. This is easily resolved. There is one word type: dog; and there are two tokens of that type: dog and dog. 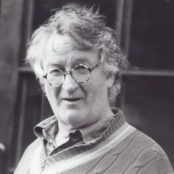 Now, since the identity of the book is not to be found only in a single token, but rather in the type, its identity lies behind the token accessed through it but residing in the type. Since the manuscript is merely a token, it has no privileged position as the book rather than any other of its tokens. The book is independent of the manuscript. Many works of art are individuals, and thereby identified only with the one instance given, for example the Mona Lisa. Were that to be attacked and damaged, the identity of the work of art would be attacked and damaged. The identity of the Mona Lisa is in that particular piece of canvas with those particular colours spread across it. The Mona Lisa has a token identity. Books, pieces of music and photographs have type identities. It would, therefore, be no act of vandalism, were I to throw out my copy of War and Peace, with its grubby edges, egg yolk and wine stains besmirching its cover, and replace it with a cleaner unthumbed copy bought at my local bookshop. This is a matter of concern because it throws light on the values we have when we collect or prize the wrong things. We should not treat as valuable those things that are of mere interest. (Or at least we should recognise that they are valuable only as having historical interest.) What matters about On the Origin of the Species is its truth and insight (or its falsity and obscurantism.) It is as superstitious to value a page from a manuscript as when we venerate a saint’s toenail, deeming it to be a first class relic. It is a dull fellow who buys a page of Darwin’s great work to stare at it. What are we supposed to do with it? Gawp in amazement? We can hardly use it for contemplative prayer, since it is part of the work that denies us the enchantment of prayer. Nor should we treat it as a work of art. It is not a work of art. The complaint raised here is that the kind of values sought has been (had to be) relocated into a world of value that lies beyond either religion or science. For it is art that now attracts our investment in the specific values that lie outside the world of cause and effect. If we are freed from religion, we are still to be freed from the strictures of science and its determination. We should (we must) strive to understand the value of art. A SINGLE handwritten page from Charles Darwin’s On The Origin Of Species has been sold for £490,000 — more than £4,700 per word. Auctioned by the estate of a descendant of the 19th century naturalist, it shattered the guide price of £120,000 to £180,000. 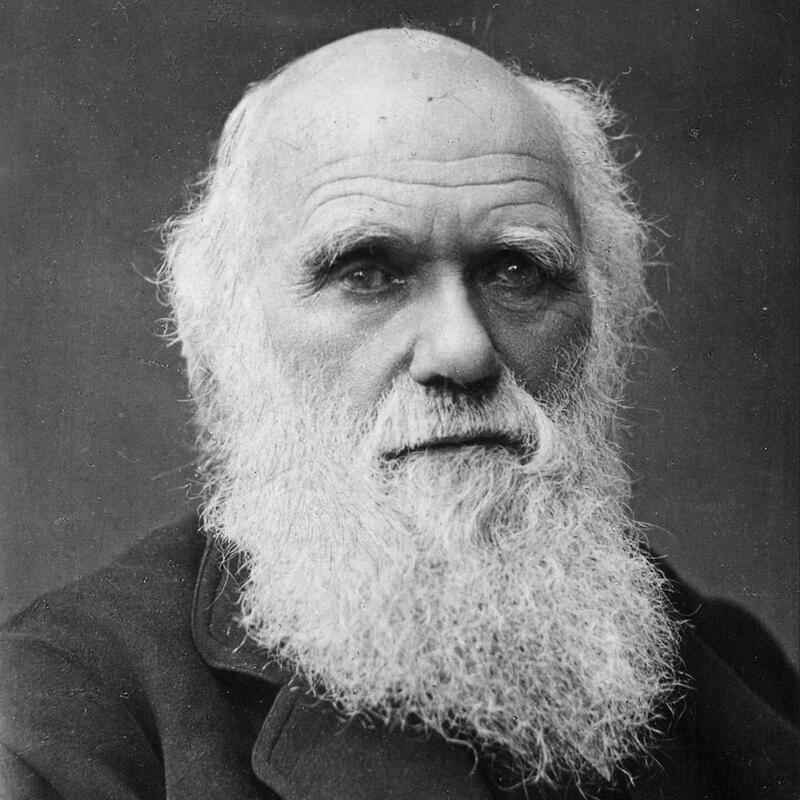 Darwin’s 1859 work — explaining his theory of evolution — was recently voted the most influential academic book ever written. The page contains 104 words, plus corrections, and Darwin concludes ‘there is no fundamental difference between Species & Varieties’. However, he made extensive stylistic changes before publication which means the printed text differs in detail to the manuscript, which he wrote between July 1858 and April 1859. The page — the only substantial part of Chapter 8 to survive — was auctioned by Sotheby’s by order of the executors of the late Mrs A P Keynes, a descendent of Darwin’s daughter’s niece. In 2016, a single page from Chapter 7 was sold by Sotheby’s for £175,000.